Whether it is full-on or nothing more than an accessory, designers and fashion lovers all over the world seem to be in the mood for fur this cold season. Coats, jackets, caps, cardigans, vests, collars, boots, even bags- the abundance of fuzz can get anyone confused. How to wear it with style? Here are some guidelines. 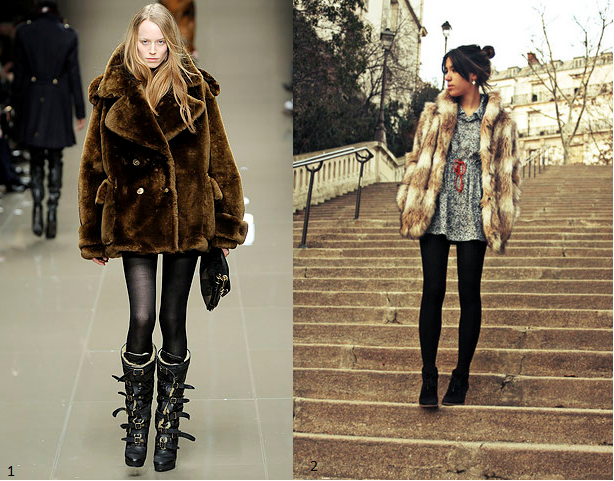 Put on a big cozy fur jacket and match it with girly dress you loved wearing in summer. Add a pair of long legs in statement shoes and you won’t go unnoticed in the crowd. Play with layers by adding a long fur vest to a simple skirt/ trousers and blouse combination. Play with fabrics and textures, from delicate silk and chiffon to chunky knitwear, it’s all about keeping yourself warm so don’t be afraid to have some fun with fur. Choose the season’s “it” colours- any shades of browns and greys. Prefer something more subtle? Follow the trend by adding a fuzzy accessory to your everyday outfit. There is a wide choice for you: a Russian cap for siberian cold, a trapper hat for arctic winds, a bold bag or a big comfy collar. 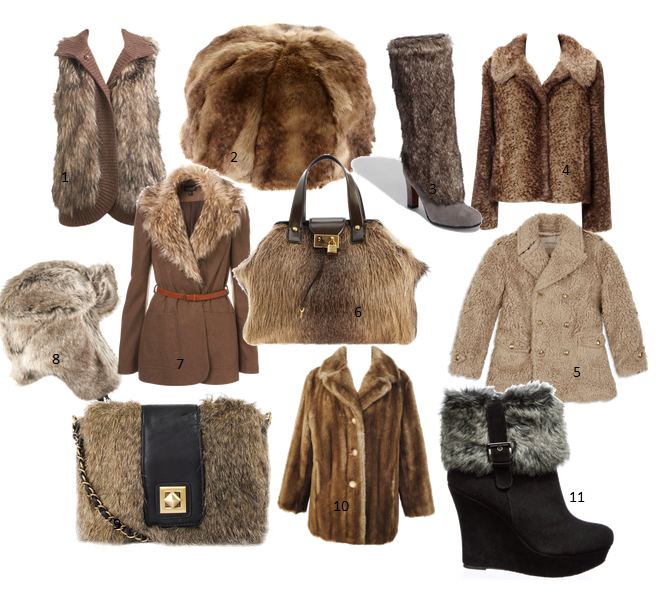 Those furry items will add a runway chic to every outfit. Having conquered our wardrobe, the fur makes its way down to our shoes. Treat your feet with fur cuff ankle boots or more extravagant fully hairy knee-high boots. Wear them with shorts or leather leggings, try contrasting them with frilly dresses. Whichever way of incomporating some fuzz in your wardrobe you choose, try to pick up the faux fur- not only is it animal friendly but also less expensive!